As this week saw the official release of my new novel, Hunter’s Moon, and next week sees the first of the launches celebrating the book, I thought I’d feature a piece I wrote about the inspirations behind Hunter’s Moon. I first wrote this for the excellent Teachers’ Notes my publisher, Random House Australia, have created for the book, which feature discussion points, ideas for activities etc. If you’re interested, you can download the full set of notes from the Random House website, here. 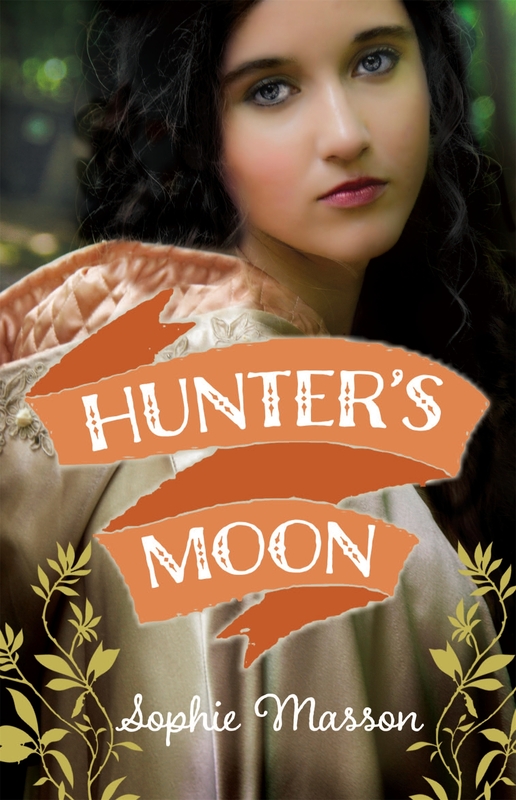 The main inspiration behind Hunter’s Moon is of course the classic fairy tale of Snow White. This Germanic fairy tale is one of my favourites, with its blend of suspense, drama, romance, dark magic and dark secrets. It’s also become one of the world’s favourite stories, and has been told and retold many times over in novels, poems, films and even TV series. 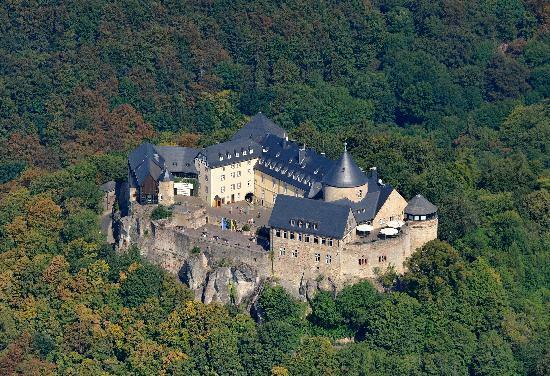 several copper mines, where miners worked from an early age, becoming hunched from working in such confined quarters. Others say that the story derived from sources much earlier than that, and point to variations of the Snow White story to be found in many other traditions, such as in France, Albania, Armenia, Russia and as far afield as Malaysia. Like most fairy tales, in fact, the inspiration for the story probably derived from a whole mix of things, leading to the form we know and love today. As with most fairy tales, there are many things behind the surface of the magical action and extraordinary characters in Snow White: intriguing motifs such as a magic mirror, a poisoned apple, a glass coffin, a huntsman who takes pity on the girl he’s supposed to kill. And there are many contrasting themes, too: betrayal and friendship; beauty and cruelty; appearance and reality. When as a novelist you are working with traditional stories, it’s important to find ways in which you can mine this rich material in an original way yet also respect the themes at its heart. And for me that lay principally in reinventing Snow White herself, to make her a more complex and interesting character. In the fairy tale, poor Snow White has to learn the hard way that nothing is what it seems and that it is a grave mistake to trust to a fair face and honeyed words. And yet she is still trusting enough to blunder into the home of strangers in the shape of dwarves, and later accepting apples from someone who just turns up at the door; her essential innocence is untouched by the painful revelation of her stepmother’s treachery and cruelty. She is also quite passive: aside from her flight into the woods when the huntsman spares her life, she doesn’t do a great deal for herself. My Snow White character, Bianca Dalmatin, isn’t like that though she certainly starts in a similar way. Just like Snow White, Bianca has been lulled into a sense of false security by the apparent kindness of her beautiful stepmother Belladonna; like Snow White, she learns the hard way that appearances aren’t reality. Her heart is broken by the revelation; but instead of just hiding and accepting her fate, she wants to kick against it, to change things, even if it is very dangerous. And she is full of hatred for the woman who has destroyed her world. And yet like Snow White in the fairy tale, she doesn’t altogether lose her trust in others. It leads her to make mistakes—but also means that she will not turn into someone like Belladonna. Similarly, I worked with other aspects of the Snow White story, such as the seven dwarves, the truth-telling mirror, the huntsman and the glass coffin, to transform the original material whilst keeping its powerful impact. As with my other fairy tale novels (Moonlight and Ashes; Scarlet in the Snow; The Crystal Heart) Hunter’s Moon is set in a magical alternative world, a world inspired by Europe in the late 19th century, but where ancient magic exists side by side with modern technology. In terms of specific setting, Hunter’s Moon takes the reader back to the Faustine Empire, which first appeared in Moonlight and Ashes. However Hunter’s Moon is set in a different province of the Empire: in Noricia, rather than Ashberg. Just as Ashberg in the earlier novel was based on Prague and the Czech countryside beyond, so Noricia in Hunter’s Moon is based on Austria, and its main city, Lepmest, is based on Vienna. And the inspiration for the Ladies’ Fair department store empire owned by Bianca’s father came from the gorgeous 19th century department stores that you can still find in cities such as Vienna, Paris, Moscow and London—glittering palaces of fashion and beauty housed in elegant old buildings. And finally, Hunter’s Moon also has influences and elements from those earlier fairy tale novels of mine, including a recurring minor character who in this book takes on a bit more of a role! ← Publication day for Hunter’s Moon!